It's metric measurement time! 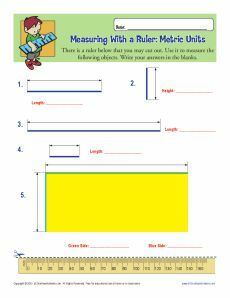 This worksheet includes a ruler for your youngster to use. Cut it out and she's ready to start measuring the lines on the page. It's aligned with Common Core Standards for Measurement and Data for 2nd grade. It may also be used for other grades as appropriate.